Have Your Eye on a New 2018-2019 Lincoln? The vibrant new Lincoln MKC, Lincoln Nautilus, Lincoln MKZ and Lincoln Navigator vehicles in our showroom always bring style and performance to the table. Together with you, we will review the details and answer any questions to help you discover the vehicle that best matches your lifestyle. The first thing everyone notices when they walk into our Riverhead showroom is that luxurious finish on models like the new 2019 Lincoln MKC, Lincoln Nautilus, Lincoln MKZ, Lincoln Continental, and Lincoln Navigator. Visit us and get a test drive, ask questions and get to know everything you nee about our Lincoln vehicles. If you're looking for something well-loved, something with a little more character, then our certified pre-owned Lincoln models are sure to please. Your satisfaction is our goal with any in our wide selection of used vehicles, we will help you find that perfect pre-owned gem you've been searching for. Finding your ideal vehicle is the first half of the car buying equation. The second half is securing a car loan or lease that fits your current financial requirements. That's something the team at Riverhead Lincoln is trained to provide, and they do so by sitting down with you, one-on-one. That way, we can learn more about the kind of payment you have in mind, your long-term financial goals and address any other questions or concerns you may have. Commitment to your new Lincoln from Riverhead Lincoln continues after you drive it out of our showroom for the first time. We want to make sure you get the most out of your vehicle and enjoy it for many years to come. You can find that support in the form of Lincoln parts for your vehicle needs. And, if we don't have them, we'll order them for you. There's also car service from our team of maintenance specialists who will have your vehicle primed to perform at all times with routine repairs, checkups, and more. 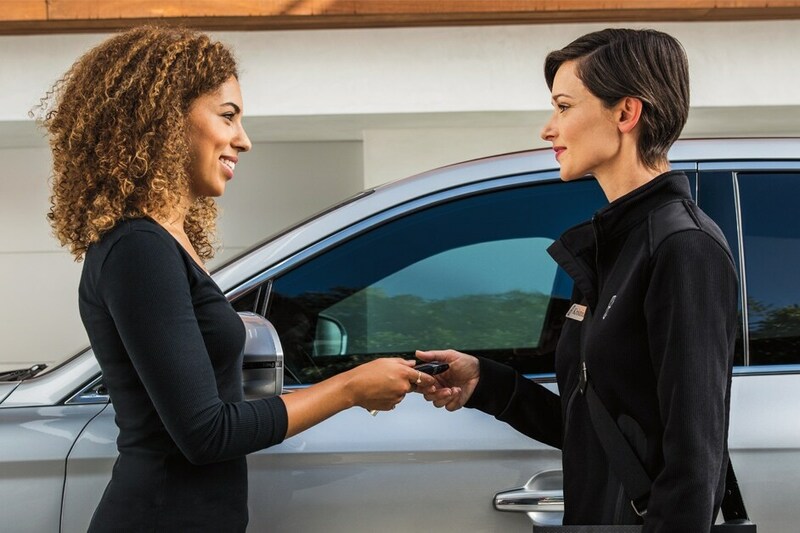 If you'd like to learn more about everything our Lincoln dealership has to offer, feel free to pay us a visit us at 1419-23 Old Country Road Riverhead, New York; get directions from Bay Shore. When you come to Riverhead Lincoln, quality and service come standard. Call us today at (888) 475-9940.